Baler is the provincial capital of Aurora. Known for its beautiful waves, it is one of the surfing capitals of the Philippines. It also boasts of its beautiful landscapes and historical spots making it a one-stop tourist destination. 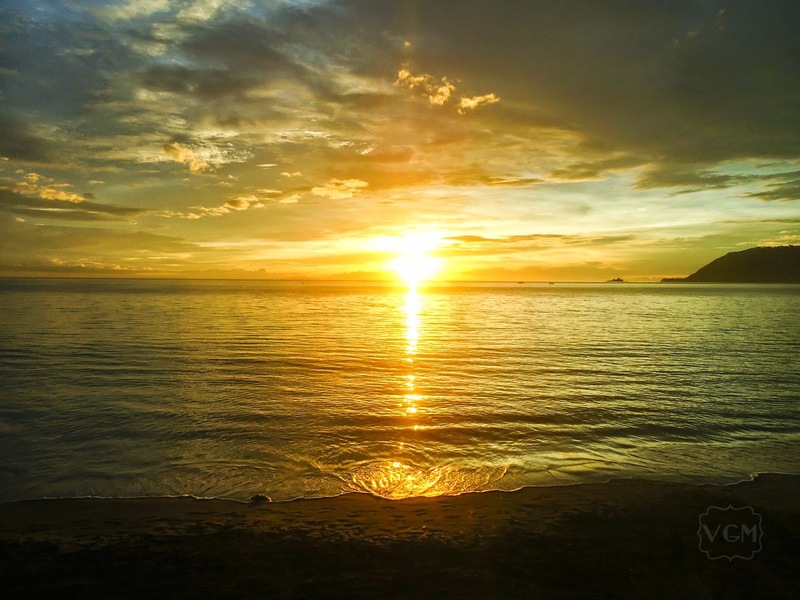 Energize with this beautiful sunrise at Sabang Beach. Dicasalarin Cove is located at Brgy. Zabali, a 15 minute ride from the town proper. This place is a secret waiting to be unfold. Even from afar the scenery was very pleasing and enticing. Apart from swimming in the beach, you can climb the lighthouse on top of a cliff or visit the Longhouse. To know more about Dicasalarin, read the separate post here. Diguisit Falls is a three-tiered waterfall situated along the road. It is opposite to Diguisit Beach and the rock formations (islets) which I missed, unfortunately. Water can be so cold because it streams down from the mountain. 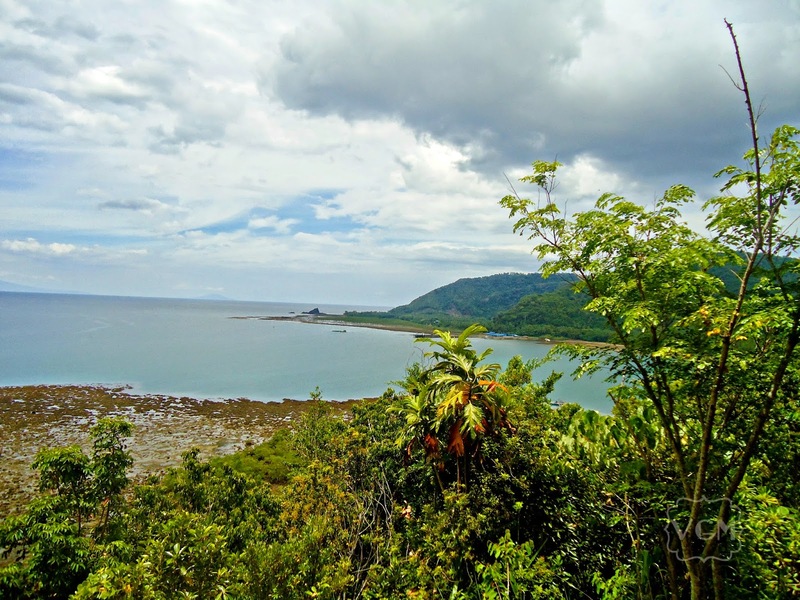 If you want to get the most of the Diguisit experience, you need to climb the topmost part, just be careful because the soil and rocks can be very slippery. 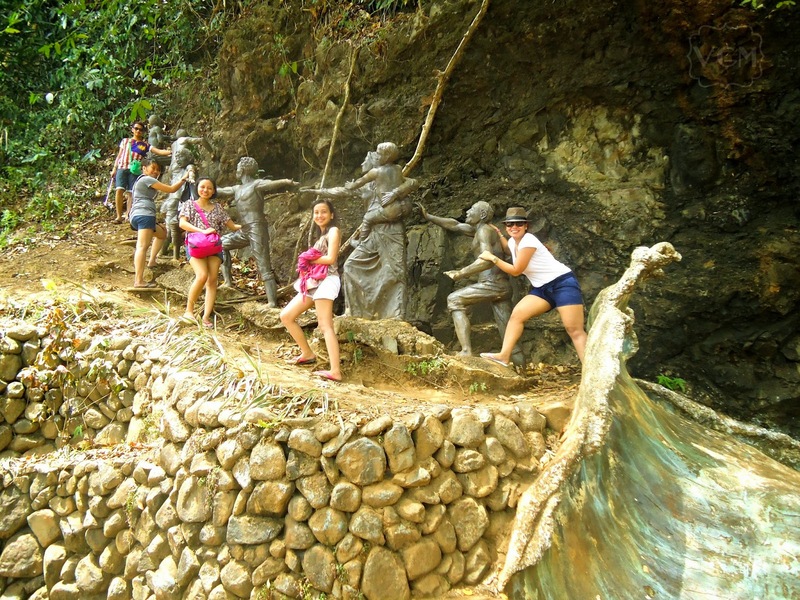 Ermita Hill played an important role in the history of Baler. In 1735, this is where the six families together with a priest from Casiguran who's visiting the town fled to survive the catastrophic tsunami that engulfed the whole town. A monument re-enacting the event was built as a memorial, it is popularly called Tromba Marina. 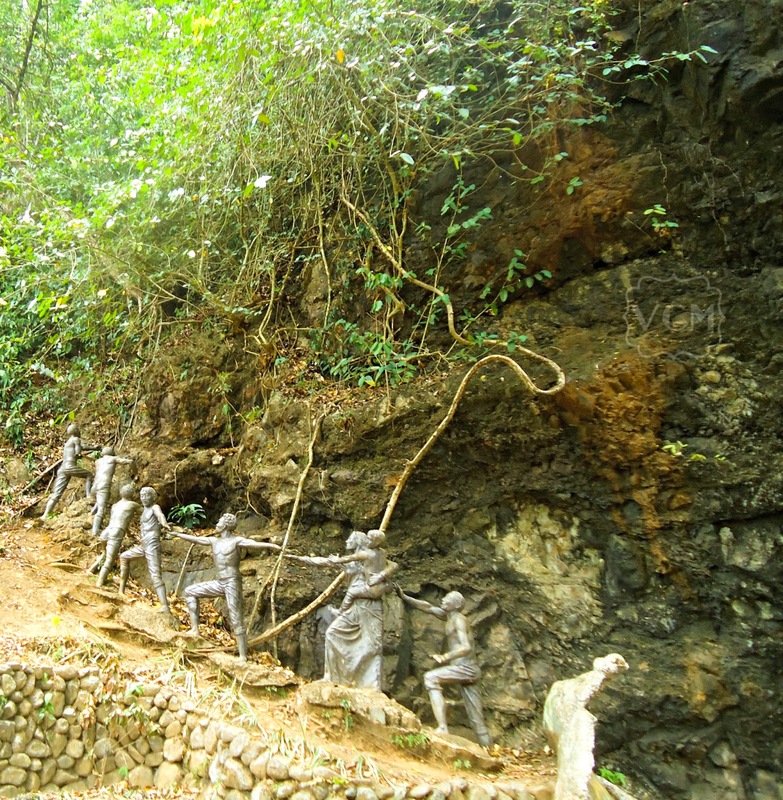 This can be found along the road at the lower part of Ermita Hill. No we're not re-enacting, we just want to pose. 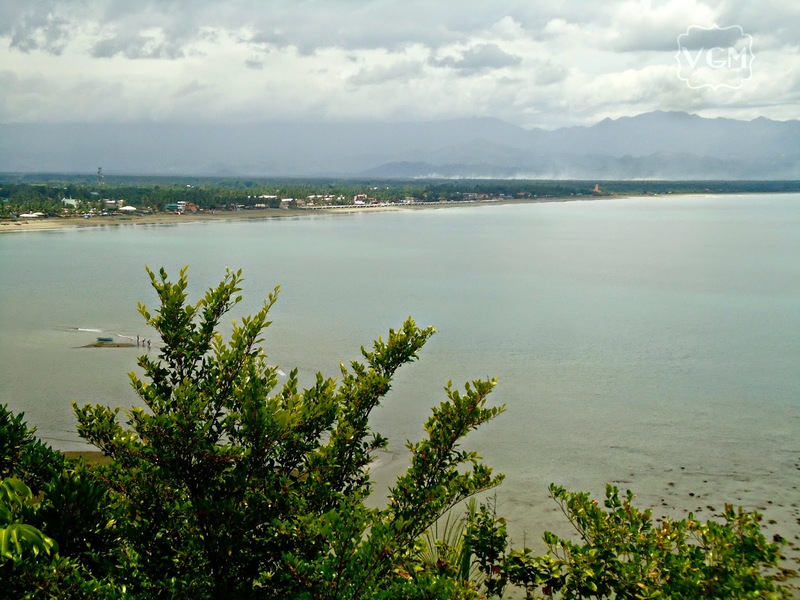 From the plateau, one can have a good panoramic view of the town of Baler and the Pacific Ocean. Want more adventure? Why not climb the 200+ staircase that will take you to the Big White Cross situated at a higher portion of the hill. Mother Falls is the largest waterfall in Aurora. 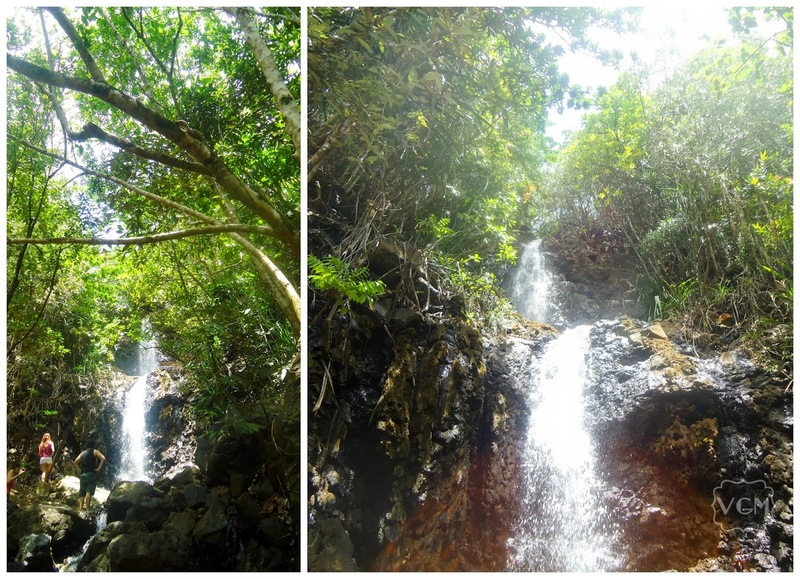 I cannot find the exact number of waterfalls in the province, but I think there are four or more of them. 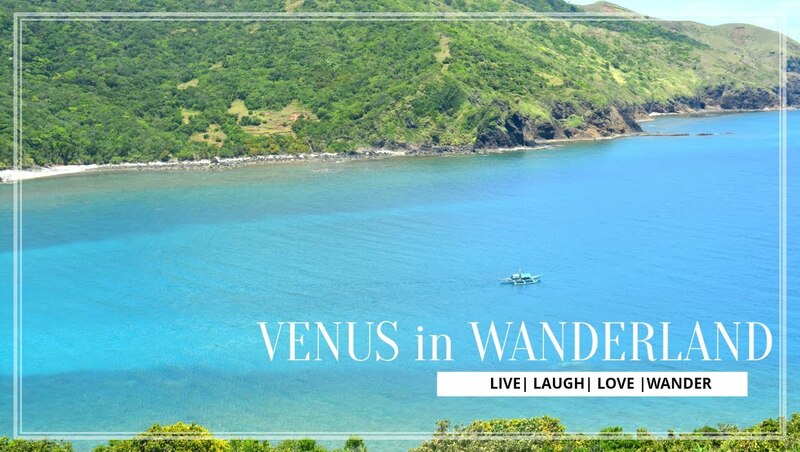 Though this tour is included in our Baler itinerary, I want to emphasize that it is located at Brgy. Ditumabo at the town of San Luis, Aurora. It is called Ditumabo Falls because of its location but I believe it is more popularly known as Mother Falls. The journey to the falls was in itself an adventure. The ride was tough and bumpy. Since we hired a tricyle to take us here, imagine lifting from the tricycle seat everytime we hit the bumpy road. But wait there's more, when you reach the entrance you still need to trek (again) to the falls. 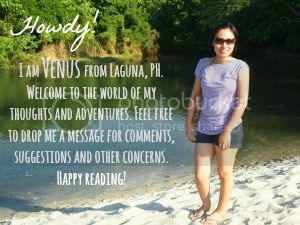 I'm not really a thrill-seeker, but I would not mind the bumpy ride and the long trek because I will be seeing a beautiful wonder of nature at the end. 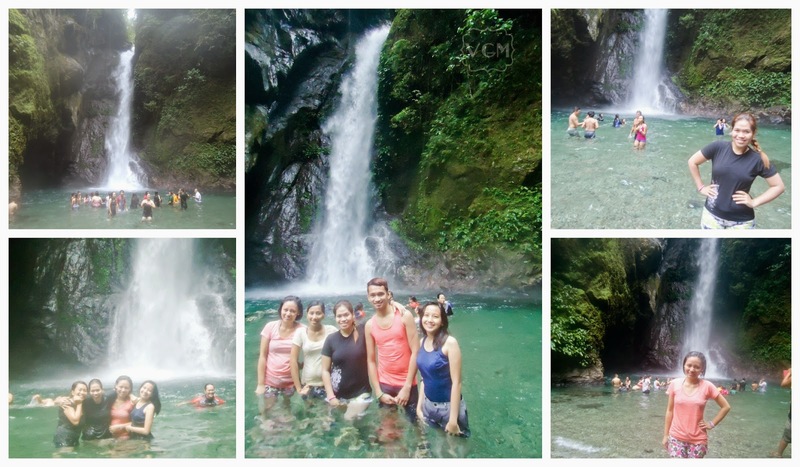 To know more about our visit to Mother Falls, read the rest on the post here. 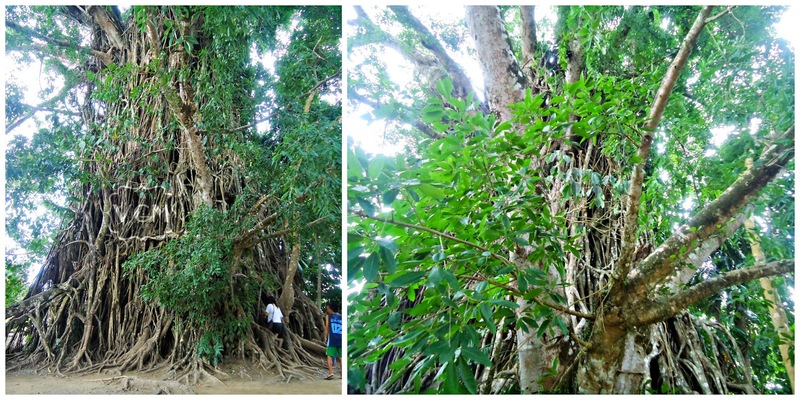 After the waterfall adventure, we wrapped up our day by visiting the Millenium Tree at the town of Maria Aurora. The thought of getting inside a balete tree sounded a bit creepy, but I enjoyed the experience although there's still this freaking thought from time to time. Huge is actually an understatement. Just look how the tree wont fit in the vertical shot taken from a lower perspective. It was really large that people can go in and out via the openings of the trunk. Guides were available at the place, they would be willing to climb the top roots just to take pictures of your group from different angles. One more thing, these guys taught us techniques on how to play with our smartphones panorama effect. After the photo-ops and mastering the panorama technique, we decided to call it a day. We needed to rest after all the trekking we did this day because we will be on our historical tour tomorrow before we head home. Another day up on the books! 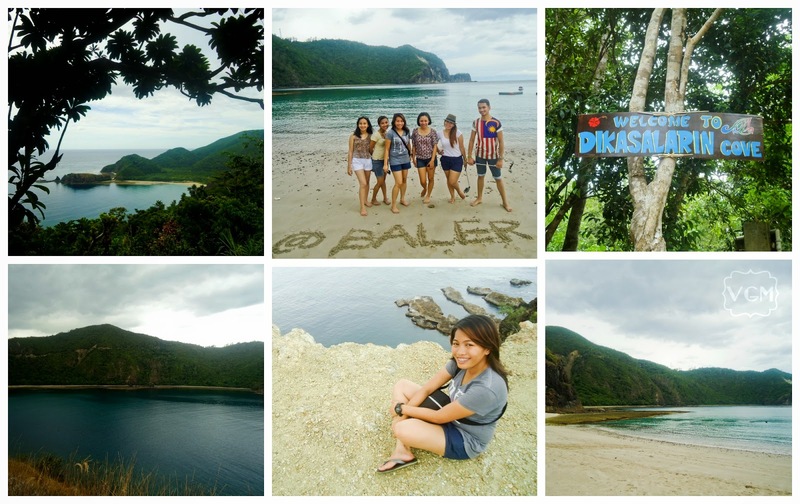 Itching to go to Baler? Pack your bags and secure your tickets for your first adventure of the year. Have fun!